Wink Bingo Mobile allows you to enjoy the full experience of Wink Bingo, on the go! No need to wait until you are home in order to play your favourite online bingo games. Now you can play, wherever you are! 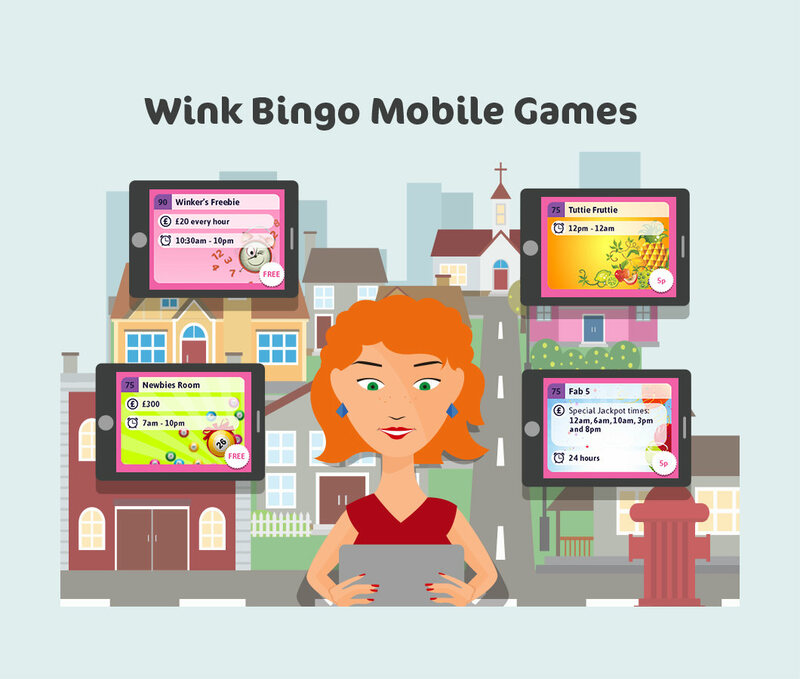 No matter whether you have an Apple or Android smartphone or tablet, Wink Bingo will provide you with a version of their gaming platform that is optimized for your device. Can be added to your smartphone or tablet. What Does Wink Mobile Have To Offer? Guaranteed Jackpots - Your daily opportunity to win wads of cash and some amazing prizes. Progressive Jackpots - Take a spin at winning one of the fun progressive jackpot games, such as Fluffy Favourites and Sugar Train. Peter Andre’s Hearts of Gold - Not only can you win some dosh, but this promo also raises money for Cancer Research UK. 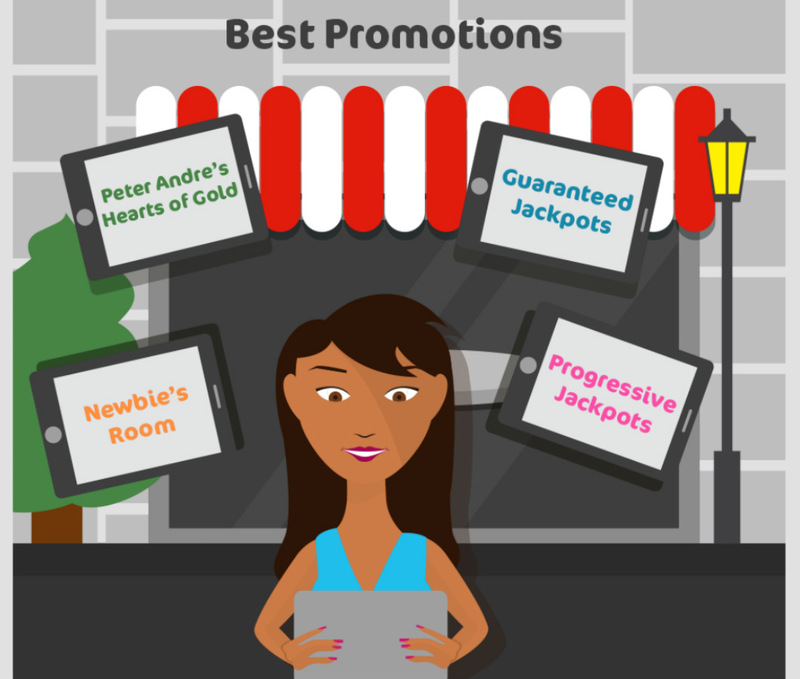 Newbie’s Room - Play for FREE and win up to £300 a day, no deposit is required! No bingo site would be complete if it didn’t offer some great bingo bonuses. Wink Bingo Mobile is no exception! When you deposit via Wink Bingo Mobile for the first time, you can expect to receive a welcome bonus which will provide as much as 200% extra cash. If you deposit £10, you can receive an additional £40, giving you a total of £50 to play with! Keep a vigilant eye out for other special offers such as a whopping £60 Xmas bonus, as well as other holiday treats. Bingo bonuses are available on mobile too. Receive a generous first deposit bonus. Watch out for seasonal bonuses and other special offers. 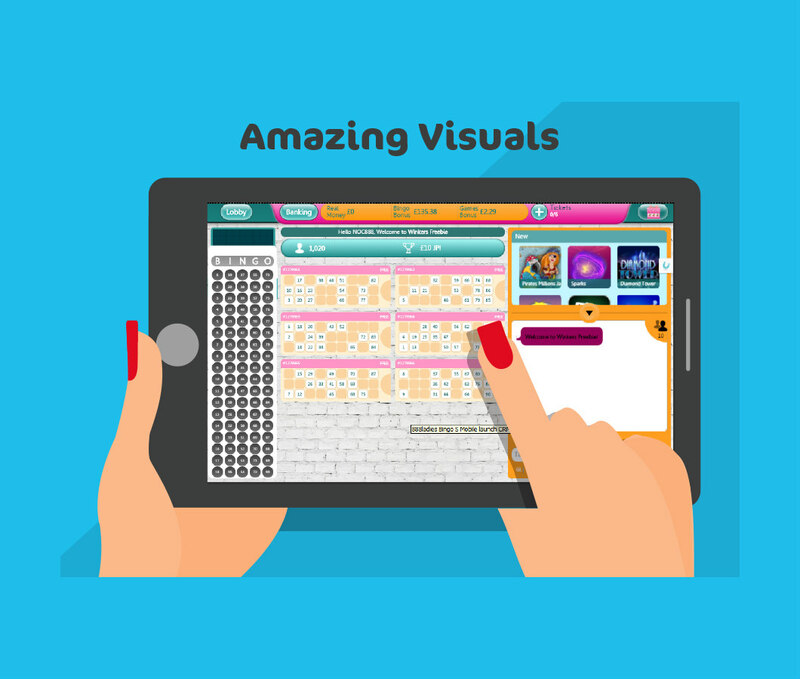 Visually speaking, Wink Bingo Mobile games are perfectly organized and displayed, even on the smallest of screens. Your bingo cards are all nicely laid out in one view. There are notifications indicating your bonus amount, time left and amount of people in the game. The call to action buttons are intelligently placed and easy to find. You can easily reach the Lobby or Banking panel, plus you can switch between Game and Chat room in just one click. Expect to receive due warning when a game is about to start, and when the bingo balls are called, they pop up on your screen in a beautifully animated fashion. No online bingo game would be complete without an auto-daub (automatic marking) feature, Wink Bingo Mobile executes this perfectly, which is super helpful in this fast paced game. Winners are clearly announced at the end of each game. Great visuals and layout, no matter how small your screen. Notifications and buttons are easy to navigate. Animated alerts ensure you don’t skip a beat. Auto daub keeps you up to speed. Search Google for Wink Bingo Mobile to locate a download link (be sure to download from a reliable source). Go to App Store (Apple) or Play Store (Android) and search for Wink Bingo Mobile. Go to wink bingo mobile page and scan the QR code seen in the middle of the page, this will automatically send the download link to your phone. Once the Wink Bingo App is downloaded, just follow a couple of short and simple steps to register. Both the mobile and desktop versions of Wink Bingo are accessed using the same username and password! Deposits may be made via your mobile device, however withdrawals and bonuses may only be accessed via the desktop version. Remember to always read the game terms & conditions thoroughly! And Finally… Why Pick Wink Bingo Mobile? True, there are plenty of other mobile bingo games to choose from. However, Wink Bingo Mobile is based on Wink Bingo, which is the number 1 home for online bingo in the UK. Not only that, Wink Bingo is brought to you by 888 Holdings PLC, which is among the top online gaming providers in the world! 888 Holdings is fully licensed and upholds the highest of standards. They take their craft very seriously and put their players first. 888 Holdings also reinvest their earnings in the production of their games, so you can expect nothing but the best quality play, with top notch graphics and cutting edge technology. Still not convinced? Then why not let the game speak for itself!